What Sets Us Apart From Other Colorado Springs Dentists? The professionals at Keystone Dental Center are among the most skilled dental care teams in Colorado Springs. 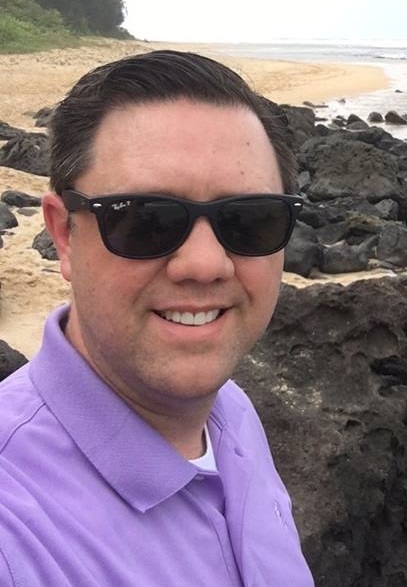 Dr. Daniel Lamb and his staff apply their expertise and consult with one another for the total benefit and comfort of dental patients they treat. Your comfort at Keystone Dental Center is very important to us. A comfortable waiting room & painless treatment. To put your mind at ease during a treatment, we have you covered with the NuCalm anti-anxiety system. 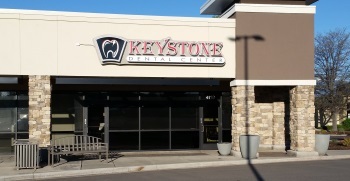 Keystone Dental Center strives to keep convenient hours for our patients. offering flexible hours Monday-Thursday, including early morning and early evening appointments. We also schedule same-day treatment for patients with emergency needs. e you considered getting your teeth straightened, but didn’t want to spend years in ugly braces? Six Month Smiles Adult Cosmetic Braces could be the solution for you. Dr. Daniel Lamb strives to provide people in the Colorado Springs area with the highest quality dental care. Keystone Dental Center can be the key to your great smile! Keystone Dental Center is a full-service dental office in Colorado Springs. Dr. Lamb and his staff are among the most qualified and well trained dental specialists around. Plus, Dr Lamb truly cares for his patients and he will earn your trust with great dental care! If you have any questions for Dr. Lamb, click HERE to contact him now. We are an insurance provider for many insurance companies. We also have flexible hours during the normal work week. We do rotate our Mondays and Fridays. Contact us HERE to see how we can accommodate you. Our ability to be in your network along with some early and late hours allow us to be convenient for you. Keystone Dental Center can now make your dental visit easier and less stressful than ever before with leading-edge NuCalm® anti-anxiety technology! NuCalm®…the all-­‐natural way to experience a relaxing dental visit. CEREC® technology allows Keystone Dental to provide same day, custom porcelain crowns! CEREC is the CAD/CAM system for all-ceramic tooth restorations (same day crowns) – normally completed in one single appointment. Thanks to the modern computerized cad/cam technology we can essentially “make” your new tooth cap while you wait comfortably in our office. Normally we can do this in just one visit – and save you hours of your valuable time! The Keystone Dental Center Wellness Plan was created and designed to help our patients be able to afford the quality dental care that they desire and deserve. Our Wellness Plan is not an insurance plan, can not be combined with a traditional insurance plan, but does have some similarities to insurance-type products – but with many more benefits. We are normally in the office every other Monday and Friday – please call us at 719-596-0212 -OR- click HERE to make an online appointment or click HERE to contact us. You have my word that we will strive to make each and every visit to Keystone Dental Center comfortable, convenient and as pleasant as possible. Come check us out – we want to be your Colorado Springs Dental Center of choice! Dr. Lamb is really above and beyond in the field of dentistry! We moved from Iowa this summer and I am SO blessed we found his office. I love the “small town” feel you get at this office. I highly recommend anyone looking for a dentist, where you are not “just a number” to try Keystone Dental…you will be glad you did!